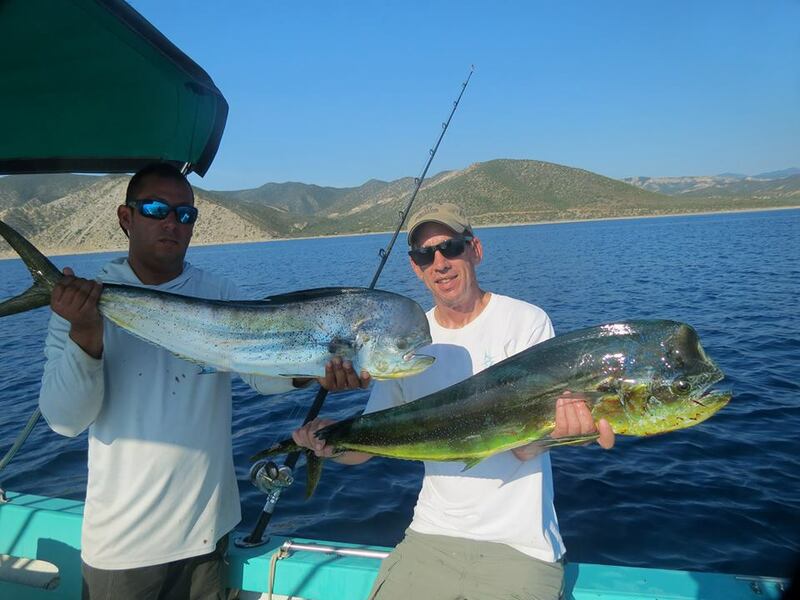 It's been a wonderful October so far and we are still seeing lots of fishing hitting the dock each and every day! 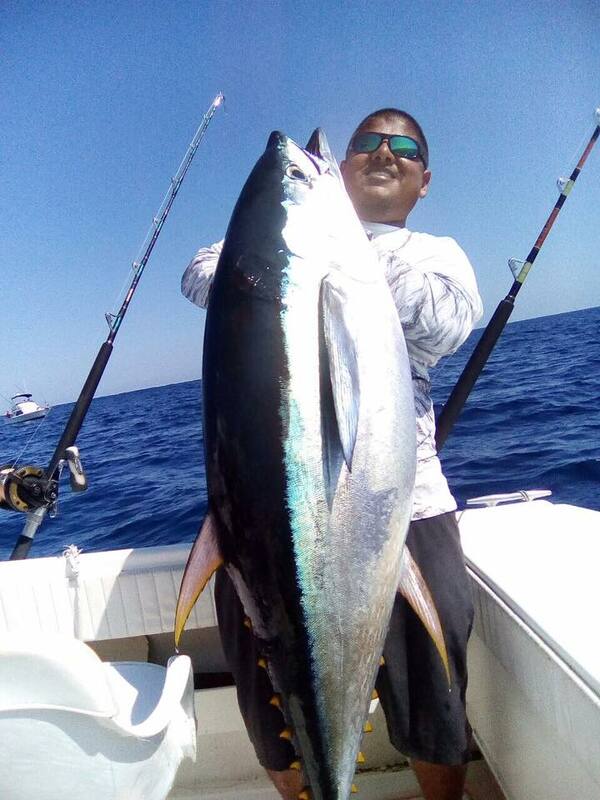 This past week the tuna bite has been great with lots of tuna in the 30-100# range landed. 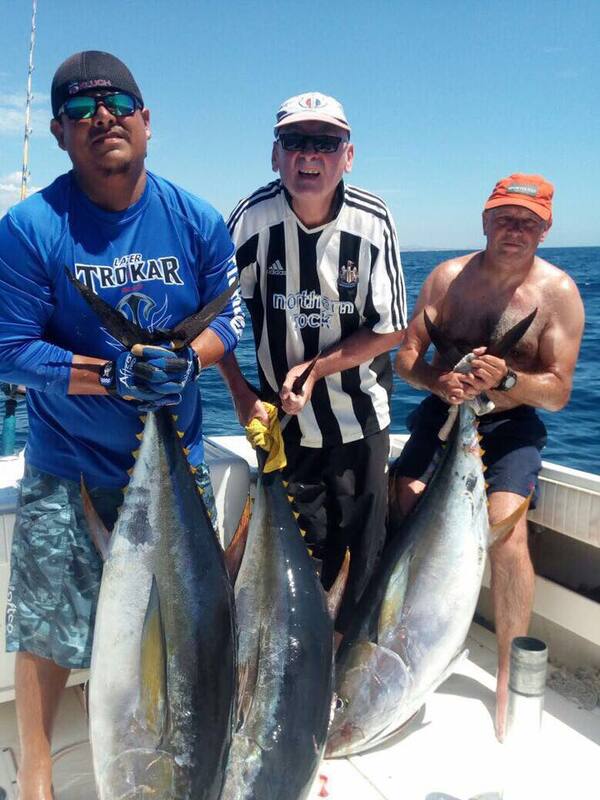 The tuna seem to be to the north and to the south, and they are hitting on a little bit of everything including sardinas, squid, plugs and lures. 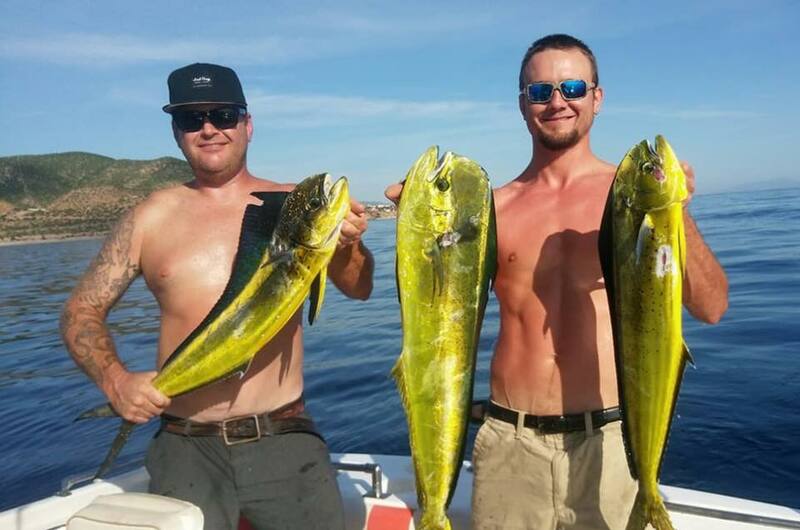 The Mahi Mahi landed a nice 97# yellowfin a few days ago to secure the victory in the 2017 Let's Talk Hookup Tournament, which saw close to 50 anglers compete this weekend for $1,000 cash, a return trip to Palmas De Cortez, Maui Jim Sunglasses and more. 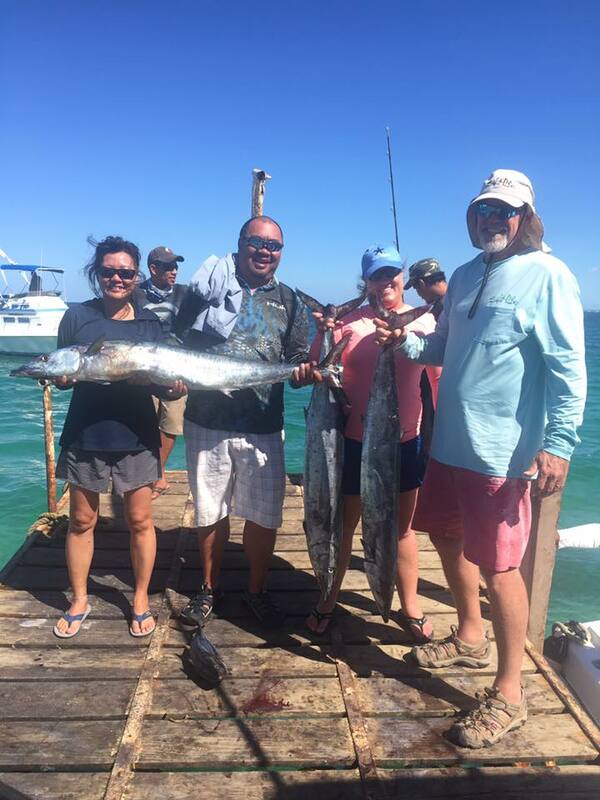 This year's winning team and winners of the return trip were Rhonda and Tom Gruber. 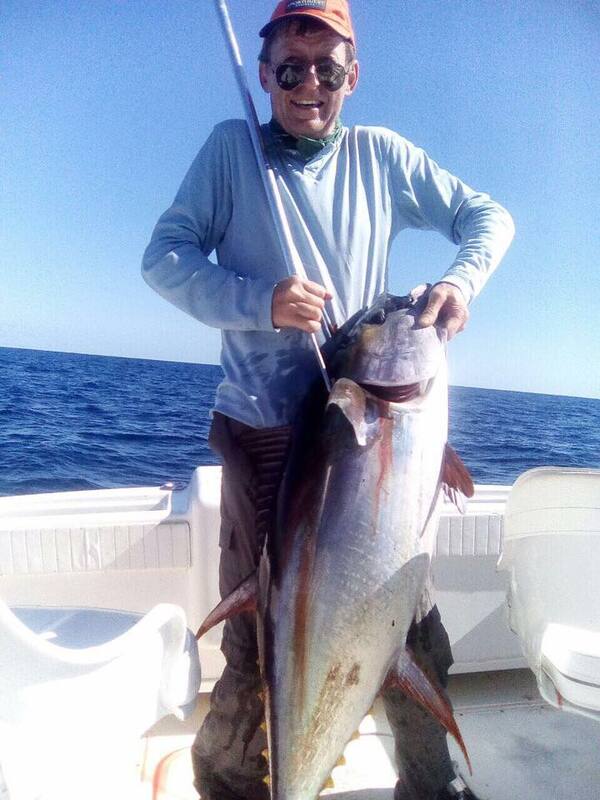 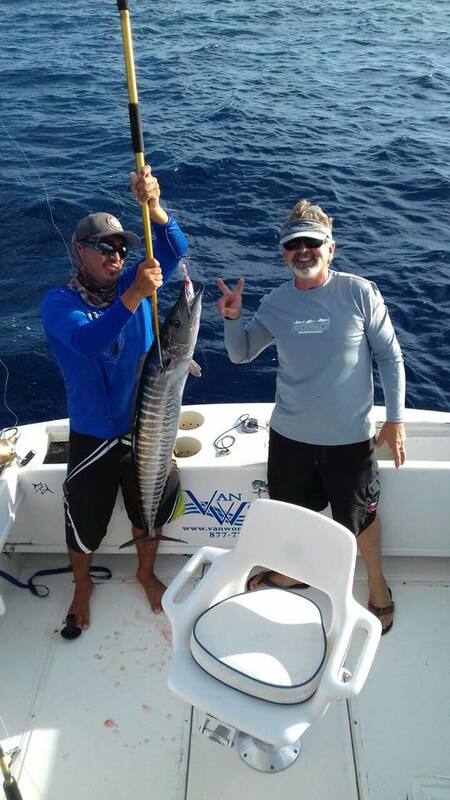 The wahoo bite has continued stong into October and we are having one of, if not THE best, wahoo seasons in resent history. 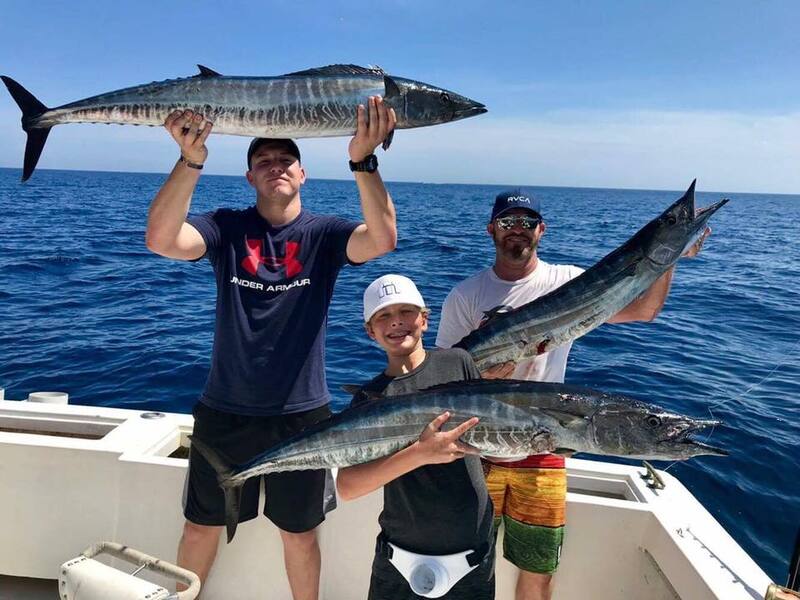 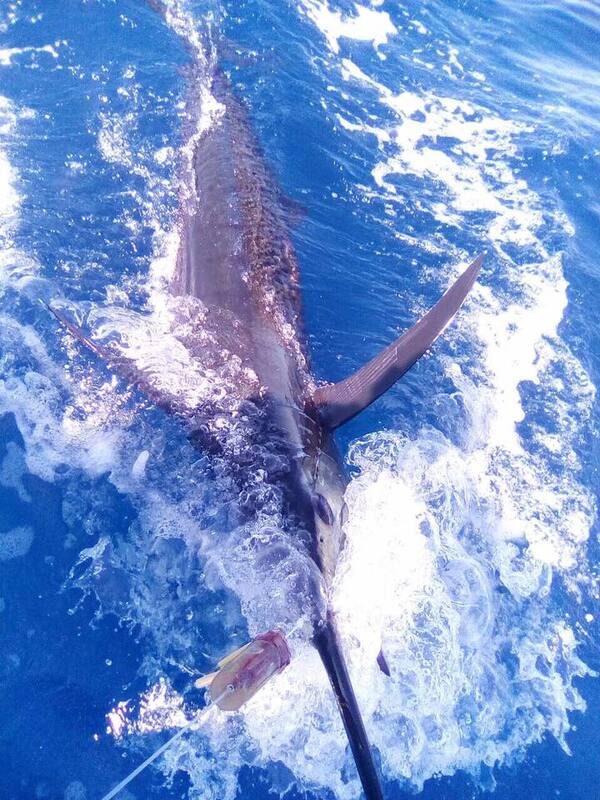 Our good friend Joey Krys, and his two boys wyatt & Eli had a triple hookup on there way to a total of 5 wahoo in one day on board the cruiser Marlin Magic. 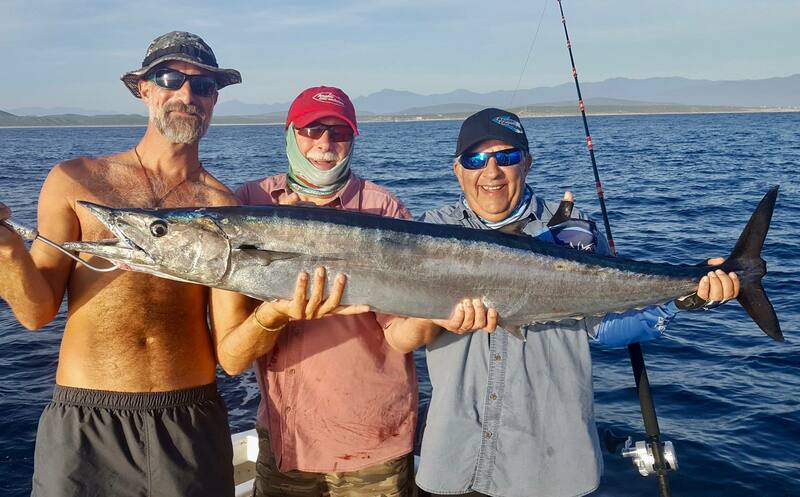 Also our friend Jeff Schuh come down to fish with Chuy on the Rude Baby and he landed his first Wahoo ever, so he can now scratch that off his bucket list! 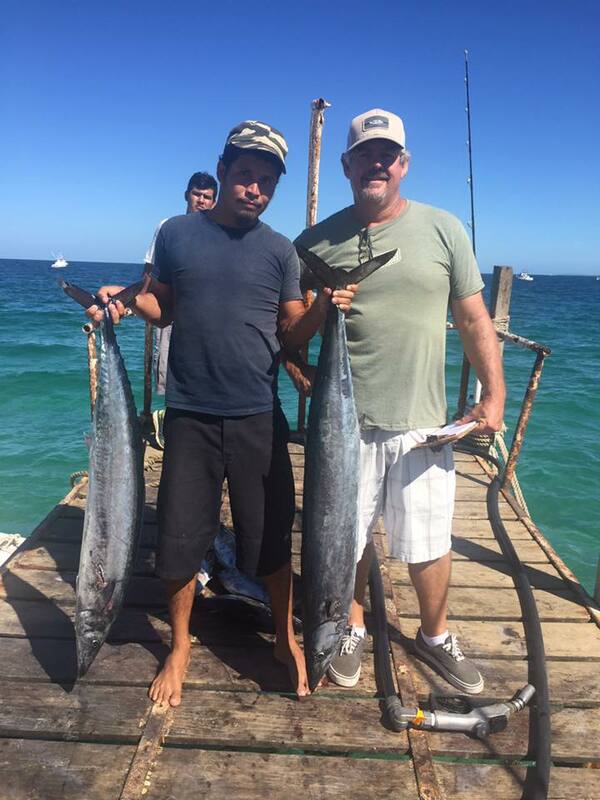 I have heard many people comment that they have been coming down here for more than 20 years and this has been their first wahoo as well. 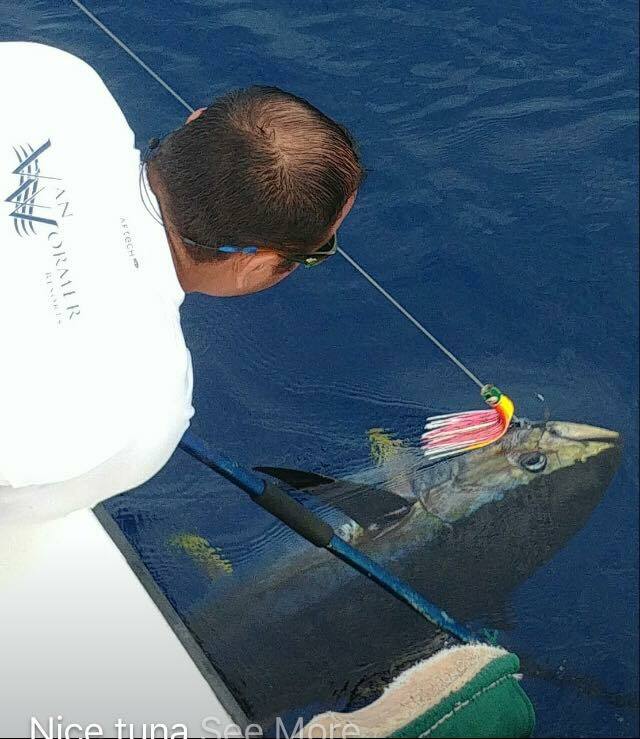 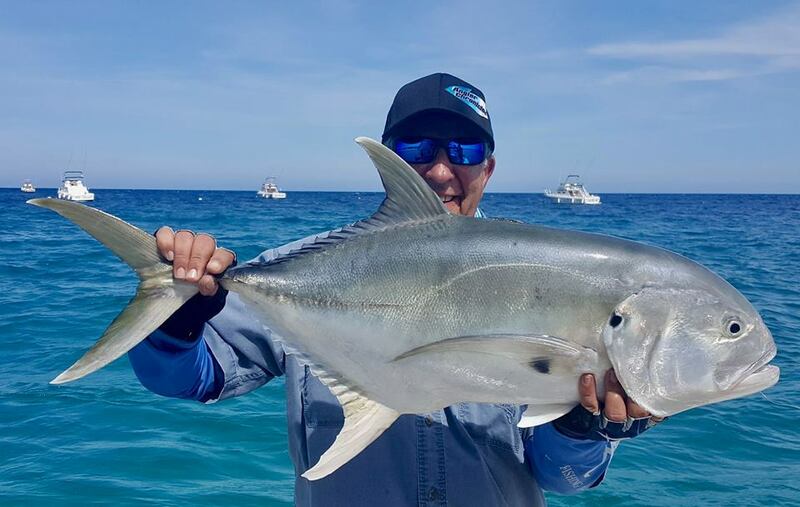 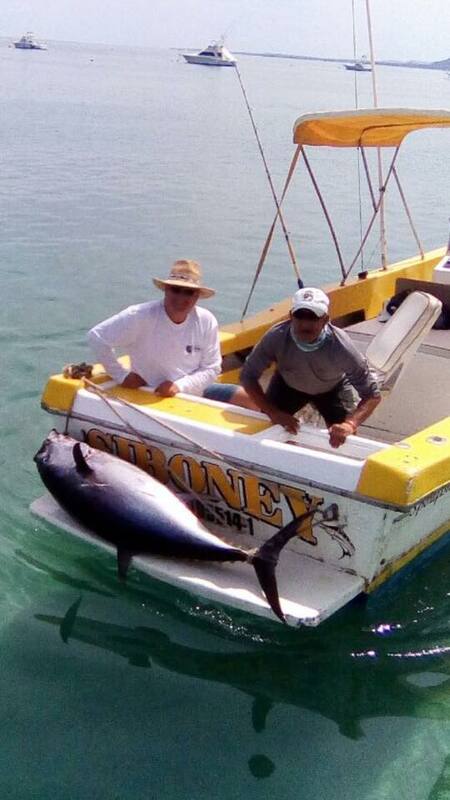 We are also seeing lots of Jack Crevalle, blue marlin, stirped marlin, sailfish, pargo, dorado, tuna, wahoo, roosters, jacks and much much more. 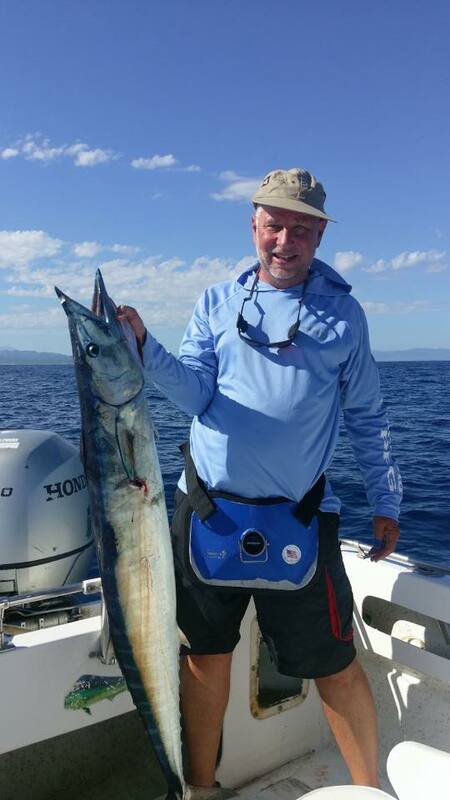 October is a great time to be fishing in the East Cape. 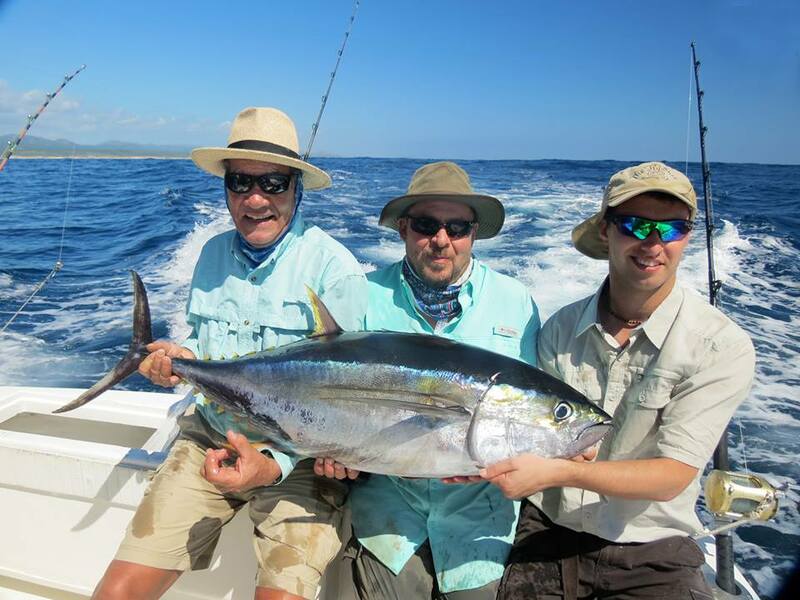 If you have some free time, make your way down here and you will have a blast fishing! 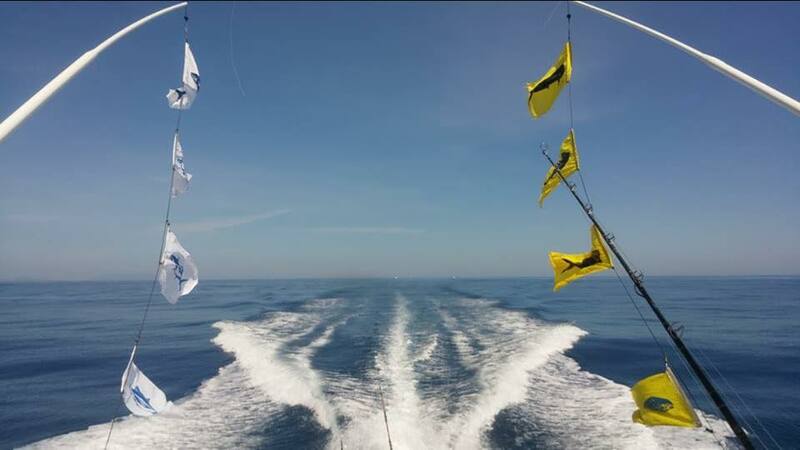 We are looking forward to the arrival of the Lynn Rose East Cape Classic on Wednesday, followed by the 2017 Tuna Shoot Out on the 28th and the final tournament of the season November 2nd will be the Annual Salt Patrol Marlin Tournament. 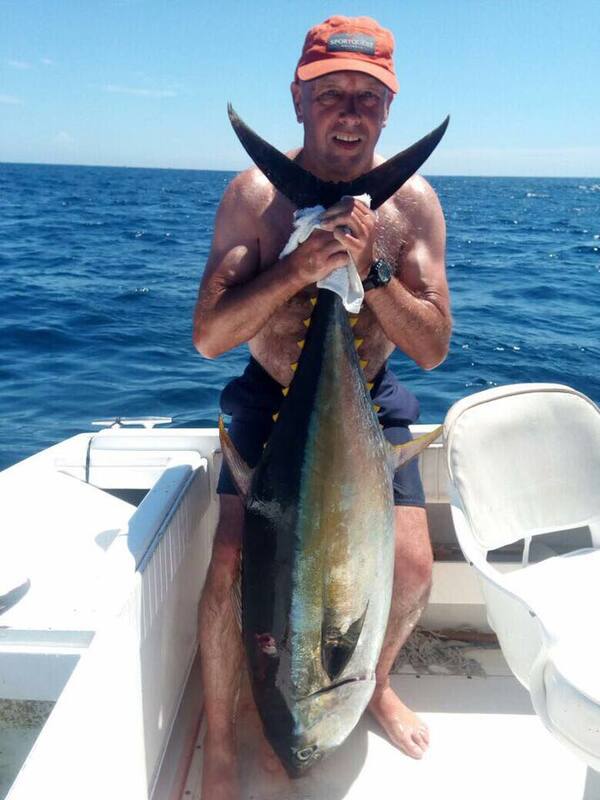 Look forward to seeing everyone soon!